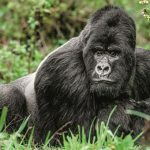 The International Union for the Conservation of Nature (IUCN), the global lead for assessing the conservation status of animals and plants worldwide, has taken the extraordinary step of upgrading the mountain gorilla from critically endangered to endangered. At a time when wildlife populations are under siege from illegal trafficking, hunting, and habitat loss, Adventure World Travel is joining the world in celebrating this historical moment. Gorilla Doctors’ life-saving veterinary care to ill and injured mountain gorillas has proven to be one of the most essential factors in their recovery, and from less than 250 gorillas when they started to 1,004 gorillas now, today’s announcement is further proof that their work is literally saving a species, one gorilla at a time. 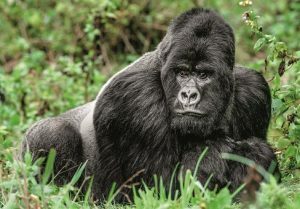 Adventure World Travel and its Australian guests support the work of Gorilla Doctors via experiences included on Rwanda Gorilla itineraries. Mountain gorillas live in just two populations across Rwanda, DRC and Uganda, one in the Virunga Massif and the other in the Bwindi Impenetrable Forest in Uganda. While this status change is great news, IUCN acknowledges that the survival of mountain gorillas remains precarious, and their status could easily return to critical. The difference between endangered and critically endangered is a very thin line. Despite the dedication and courage of park staff who work around the clock to protect the boundaries of the mountain gorillas’ forests, the reality is that the global community of travel organisations and travellers have an increased responsibility to prioritise the ongoing conservation efforts to date. With the majority of mountain gorillas habituated to the close proximity of humans, the significant risk of disease transmission from people in the forest both legally (e.g. park workers, tourists, researchers and veterinarians) and illegally (poachers and militia/rebel groups) is ever-present. While this extraordinary conservation milestone is being celebrated, it’s a timely reminder of the importance of wildlife tourism for encouraging investment in infrastructure, communities and people who play an active role in ensuring wildlife populations around the world thrive. Adventure World Travel and its not-for-profit organisation The TreadRight Foundation work in collaboration with World Animal Protection to promote only observational wildlife experiences. In adhering to their code of responsible animal welfare and supporting their work to protect the wildlife in the places we explore, Adventure World Travel makes travel sustainable for the long-term.